Over the last few years, I’ve had the opportunity to meet with a number of founders building new market categories of products and services. Although the end product may differ, the conversations are all very similar, helping support my thesis that we’re still writing the playbook for how to do this. The most popular conversation topics tend to be on naming your category, how to host your first conference or how to hire a marketing leader who has done this before -- bad news on that last one, we’re all pretty new. But one question that has been coming up quite a bit lately is funding. Do investors think in terms of category creators and disruptors? Is there incremental upside in valuation for companies who are building a market? And what about that pesky burn rate thing? Nakul Mandan, investor at Lightspeed Venture Partners. I sat down with Nakul Mandan, investor at Lightspeed Venture Partners to get his take on how Sand Hill Road is thinking (and investing) in companies who are building new market categories. 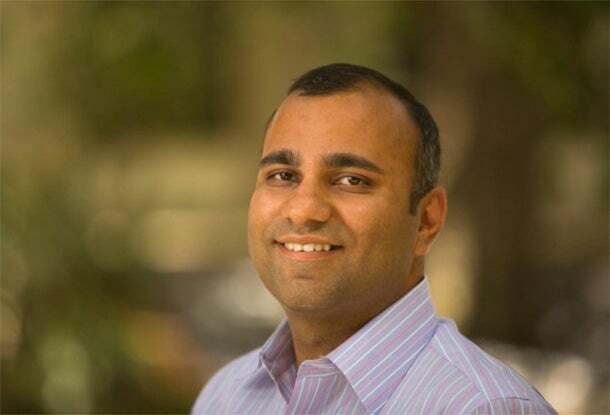 Nakul is focused on early and growth stage software-as-a-service (SaaS) investments, and previously spent five years at Battery Ventures working with companies like Gainsight, BlueJeans Networks, Marketo, 6Sense, Intacct, Yesware and Groupon. Q: New horizontal categories in enterprise software don’t come around that often. What leads to a new category opportunity? You’re right. Most enterprise software opportunities get created by a couple of macro trends coming together to make the incumbents in an existing category redundant. Completely new horizontal opportunities don’t come together often. One is the rise of a new business function -- this is what happened with Gainsight. Prior to SaaS becoming the dominant business model for technology, Customer Success wasn’t a huge priority for large tech companies. With the advent of SaaS, this changed and we started to see a new function emerge in the form of Customer Success. Every time, a new horizontal functional team emerges, I expect a new software category to emerge to support that function. The second factor could be a major technological or customer behavioral shift that leads to a new way of doing business: For instance, in the mid-2000s, business-to-business (B2B) marketing went through a transitionary phase. Prospective customers were increasingly researching products and services online before buying. They began to attend webinars, download white papers and overall, were leaving a greater footprint of their buyer intent online. As a result, the new category of B2B marketing automation emerged which led to the rise of companies like Marketo, Eloqua and Hubspot. The category of social-media marketing is similar. It came about, because social media emerged as a new way for brands to engage with customers. That has led to the rise of several successful SaaS companies such as Sprinklr, Hootsuite and others. Q: What makes you lean in on a new category? For instance, what got you convinced that Gainsight is creating a category that can support a massive company? Ultimately, what gets me excited as an investor is the opportunity to back a team that is attacking a massive market opportunity and has an edge on the rest of the competition. In new categories, the tricky piece is that the market size always looks small in the beginning. So what makes one lean in? I think the market size may look small, but the macro trend it's riding may look massive. Going back to the social-media marketing example -- in 2010, if you didn’t believe that social media would become one of the most dominant forms of online marketing, you probably wouldn’t invest in Hootsuite, Sprinklr and others. Because at the time, there were definitely a lot of questions around the return on investment on social-media marketing, and whether it’s going to be effective for a broad cross section of brands. So it all comes down to your belief in the macro trend. In Gainsight’s case, I have always believed that Customer Success is more than about managing churn for subscription businesses. Helping subscription businesses manage churn was just the starting point, but I believe Customer Success is relevant for any business that wants to establish a repeatable relationship with its customers. In this age of Twitter, Facebook and Yelp, every customer experience gets amplified on social media. If you’re not proactive about making your customers successful, you’re not going to be successful. Period. So while the initial market for Gainsight could have appeared small, my belief that its solution applies more broadly led me to invest. Q: Is there a quantifiable impact to market-share potential or valuation to category winners versus their competition? There is definitely a dynamic of success begets success in enterprise software. If you establish early leadership in a category, you have more access to funding, more resources to attract the best product, engineering, sales and marketing talent, and as a result, you will have a better chance of winning more market share over time. Accordingly, the perception of leadership definitely gets you a higher valuation multiple than your competitors. Q: What are a few examples (besides Gainsight) of SaaS companies who have succeeded in creating net new product categories? What do you think contributed to their success? The ones that come to mind instantly are Marketo, Eloqua and Hubspot creating the B2B marketing automation category -- Sprinklr and Hootsuite creating the social-media marketing automation category and InsideSales.com leading the charge in creating a new category around sales productivity and enablement. But even more interestingly, we are now beginning to see SaaS companies really push the envelope in terms of taking software to places where it didn’t exist earlier. So for instance, MindBodyOnline and StyleSeat are effectively creating a new category of software around appointment scheduling and customer automation for very small consumer services businesses. I think one common theme is that these startups were able to build a narrative around not just themselves but also their category. Ultimately, you want your prospective customers to feel bought into the use case, even before you pitch them your solution. And the ones that win the category tend to make it so that they are the default company associated with that narrative or story. Q: There's a lot of talk about startup burn rates, especially in the public markets. Creating a new category takes rather significant investment early on in sales and marketing. How should entrepreneurs, founders and marketers think about that in context of budget planning and board expectations? Every startup has its own unique needs from an initial investment required to seed the market opportunity. In a new category, sometimes it might take more upfront capital to get to $2 to $3 million in accounting rate of return (ARR) than in a category which is already established. Everybody understands that. But the tricky phase is during the $2 to $100 million phase, when the burn rate for a SaaS startup can be high relative to its scale. I think it’s important to start becoming metrics-driven in terms of measuring churn and up-sell rates, gross margins and burn rates once you enter that phase. The burn rate doesn’t exist in isolation as a metric. If you are seeing that you have a good business based on the core fundamentals of having high gross margins by the time you have $2 to $3 million in ARR, you should absolutely double down on the opportunity and plan with the board to invest in the growth. On the other hand, if these metrics are not favorable and don’t seem to be trending that way, then it’s only fair to question whether the growth investment is justified. Ultimately though, it does take conviction to invest upfront in new categories. The metrics can inform you, help you believe more, but ultimately you have to believe that you have a big market opportunity in front of you and that the business is working at its core.